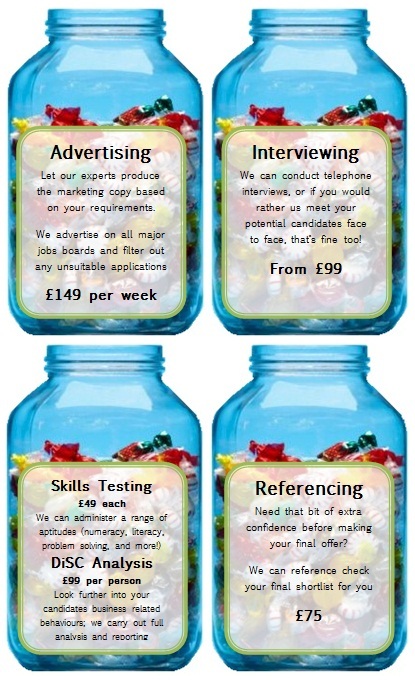 recruitment consultancy | Abbey Personnel Services Ltd.
Abbey Personnel Services are pleased to offer you Pick n Mix Recruitment. It’s just like our usual service – you will still be dealing with REC certified consultants, and we still refuse to cut any corners – but now you pick the bits you want, leave the rest out, and you only pay for what you think is important in finding you the right person for the job! Recruitment Consultant - Permanent Division. Intern Recruitment Consultant - Temp division.